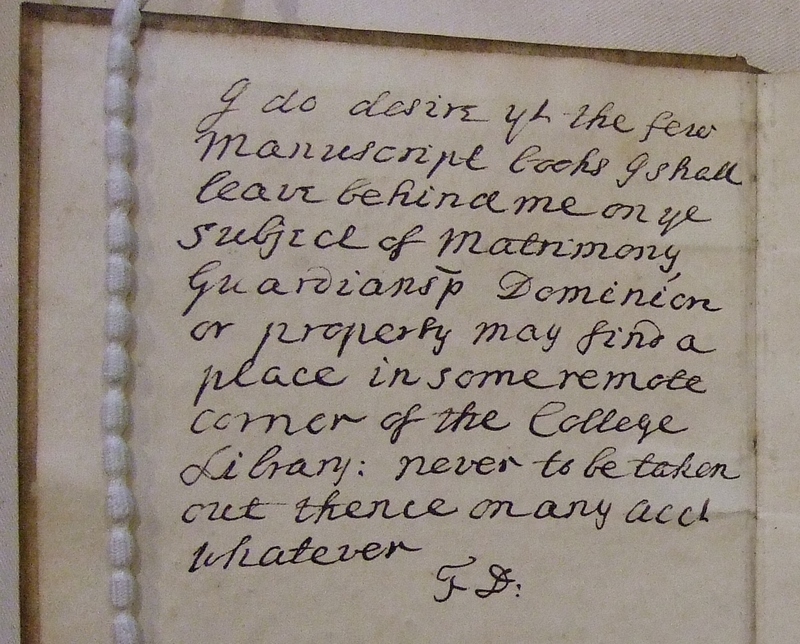 How long does it take to catalogue a rare book? Well, it all depends on what lies between the covers (and sometimes on the covers too). More importantly, it also depends on the cataloguer … what kind of day they are having or if they become fascinated by the book in hand. The latter happened to me, dear Reader, a few days ago when I was cataloguing a three-part work (bound in two volumes) by Samuel Butler. No, not the iconoclastic Samuel Butler (1835-1903), alumnus of St John’s College Cambridge, who wrote ‘The Way of All Flesh’ (coincidentally a really great read) … but the seventeenth-century one. This Samuel Butler (1612-1680) was also a satirist (what is it with these Samuel Butlers?) 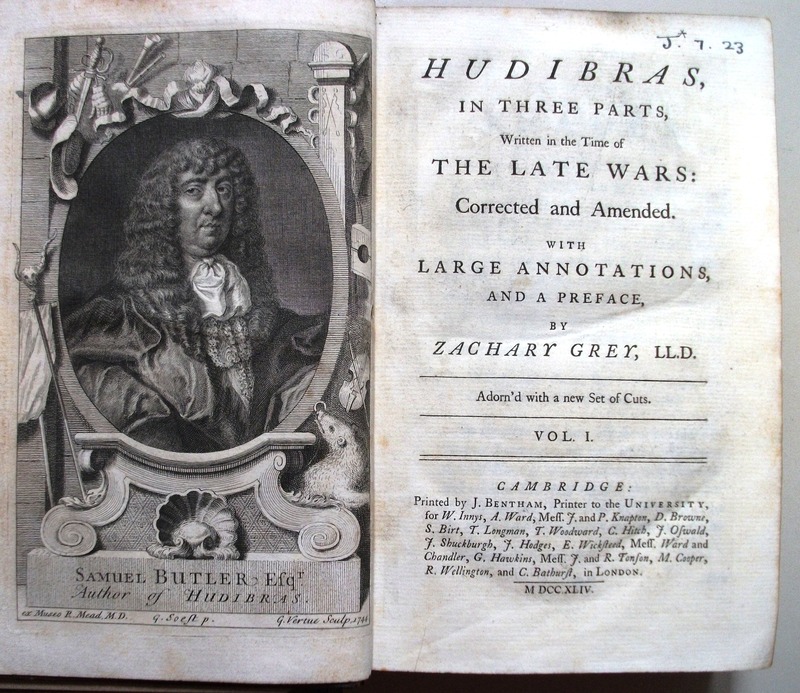 and the book I had in hand was his bestseller ‘Hudibras’, which lampoons the Puritans and was originally published 1663-1678. Ours is a later edition, printed in Cambridge in 1744 by J. Bentham, printer to the University and what first caught my eye were the 42 pages of subscribers. The publication was obviously the ‘latest thing’, not just amongst Cambridge academics, but also Oxford men, the aristocracy and the gentry. Soon I was absorbed by this roll of the great and the good of 1744. The book in hand – or rather, the first volume. I counted no fewer than twenty-nine members of Trinity Hall, starting with the Master, Dr Edward Sympson (or Simpson), and President, Dr William Warren (who was also Librarian) to a list of other Trinity Hall men: Thomas Ansell, Thomas Beaumont, Richard Bull, Dennis Clarke, Dr. Dale, Ambrose Dickins, Dr. Francis Dickins, George Etherington, John Meres Fagge, John Hagar, John Hill, William Hinxman, Oliver Marton, William Maurice, Edward Milles, Dr. Henry Monson, Humphrey Morice, Buckley Macworth Pried, Matthew Robinson, Dr Salisbury, William Strahan, Thomas Thoroton, John Trenchard, Fines Trotman, Lyonel Vane, Thomas Wallis and Jonathan White. What a marvellous snapshot of Trinity Hall at that time! First page of the list of subscribers. The poet Thomas Ansell is here. These instructions have been followed faithfully! Preserved for over 250 years, these works are now of great interest to legal historians. Two other entries in the list of subscribers are of interest to us. 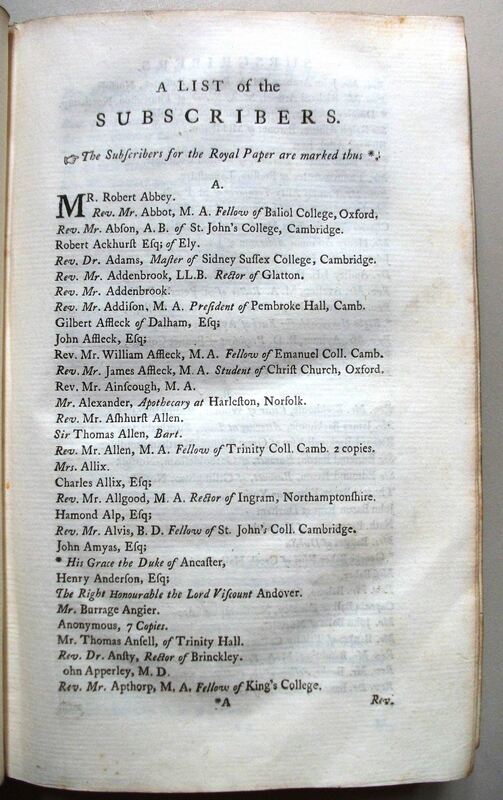 The fact that the ‘Library of Trinity Hall’ is listed indicates that by the mid eighteenth-century we had broadened our acquisitions policy to include works of English literature (to add to our core holding in law and the ancients). Here we are in print! The second entry of interest is ‘Merril’, the bookseller at No. 2 Trinity Street, who took 6 copies. Merril recognised that this was a ‘must-have’ book which he could sell, even though a vast number of University people had already subscribed. Trinity Hall had a strong link with Merril: this was the bookseller with whom we had a subscription for Diderot’s great Encyclopédie. This magnum opus was printed in Paris from 1751 and Merril arranged for the fascicules to be sent as they became available, to be bound into volumes in Cambridge. 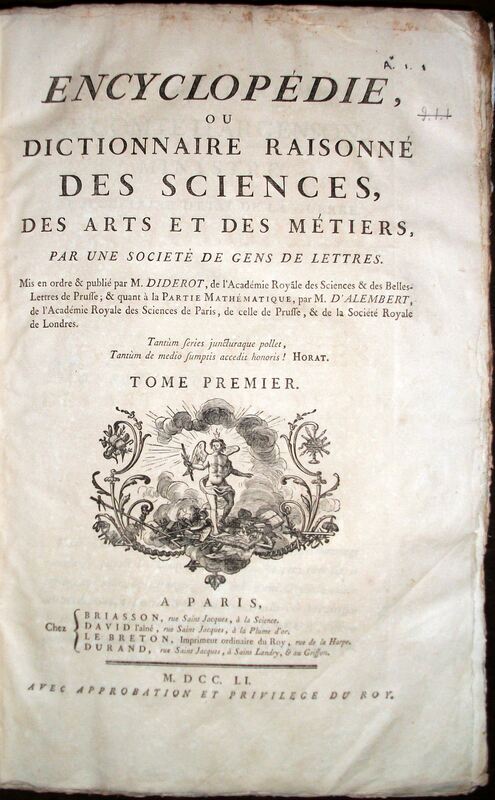 This complete first edition of the Encyclopédie is now one of the great treasures of the Old Library. But why, you may ask, have I made reference to Hogarth in the title of this piece? 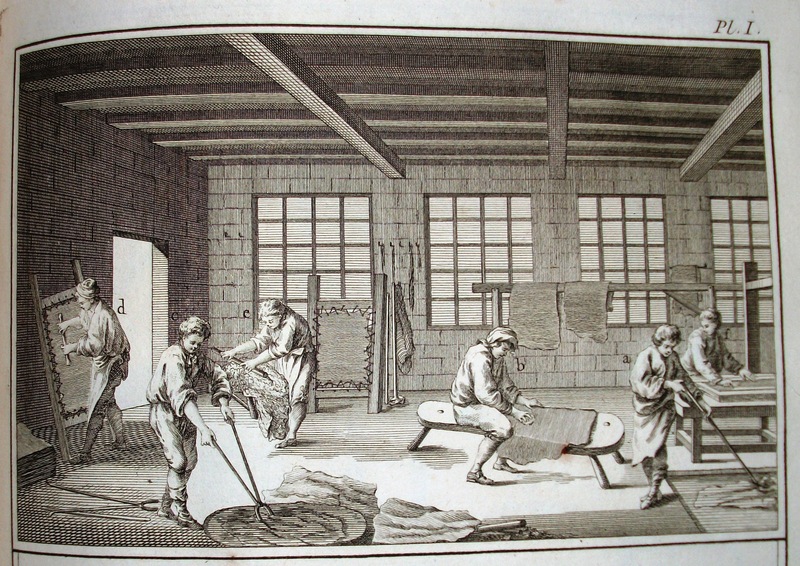 The reason is that this edition of ‘Hudibras’ has wonderful engravings of illustrations by Hogarth. But that’s for next time!